Notification with the passing of retired Delta pilot Captain Lee James Davis, age 67. Captain Davis joined Delta Air Lines 10-24-1977. Obituary information notes that he retired in 2004, and was based ATL/030. Captain Davis is survived by his wife Lucie, their children and grandchildren. On May 25, 2018, Lee James Davis of Peachtree City, GA, beloved husband, father, and grandfather, died suddenly and unexpectedly at home. 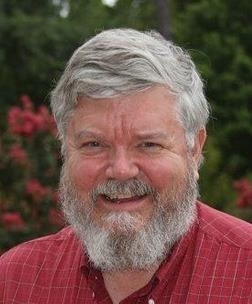 Lee was a man of deep faith and was involved in local and international ministries for many years. Lee was born on January 30, 1951, in Pittsburgh, PA, and grew up in Savannah, GA, attending Savannah Country Day School and Armstrong State University. Lee was a pilot with Delta Air Lines for 27 years, retiring in 2004. Lee is survived by his wife of over 43 years, Lucie McAlpine Davis, 3 children, 7 grandchildren, and his brother, Lamar W. (Sarah) Davis, Jr., of Savannah. Lee was predeceased by his twin brother, Danny, who died at 5 weeks old, and his parents, Lamar W. Davis, Sr., and Mary Lois Clark Davis. A graveside interment will be held on Thursday, May 31st, at Greenwich Cemetery in Savannah at 12pm.